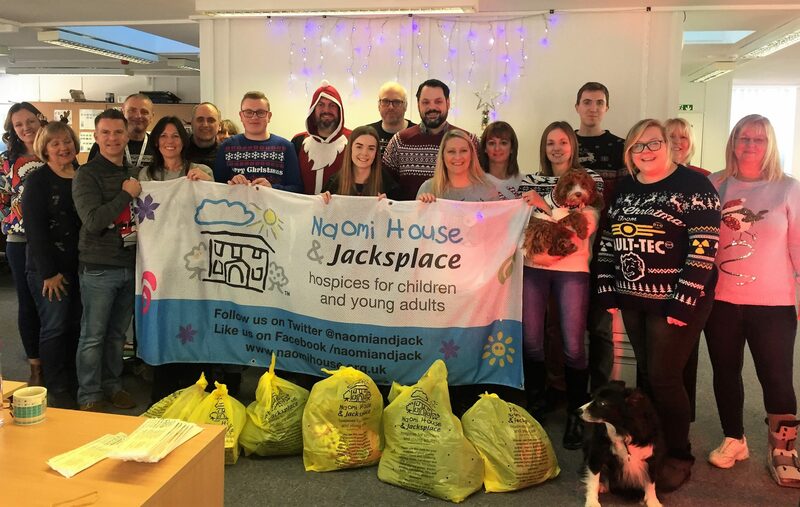 We know we’re early, but this year we thought it would be great to combine Christmas Jumper Day for Save the Children with a donation collection for our charity, Naomi House & Jacksplace. 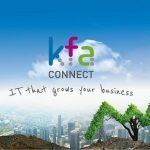 We try and help various charities all year round, but in the run-up to Christmas, we like to try that little bit harder. Gemma Rolfe from Winchester based children’s hospice Naomi House & Jacksplace came to meet our team and take our donations for the charity to sell in their stores; we managed to completely fill her van! It was great to meet Gemma (centre of our main picture) and chat to her about what the charity has planned for 2019. 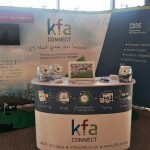 During 2018 we have made several donations for the stores and KFA Business Analyst, Jim Maddison also took part in RideLondon-Surrey 100 raising over £700.00 in this 100-mile cycle challenge for the charity. 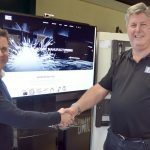 You can read more about Jim’s efforts here. Today, we are wearing our most festive Christmas jumpers (for a donation), holding a sweepstake (for a donation) and eating cake (yes, you’ve guessed it, for a donation) – all for Save the Children UK. 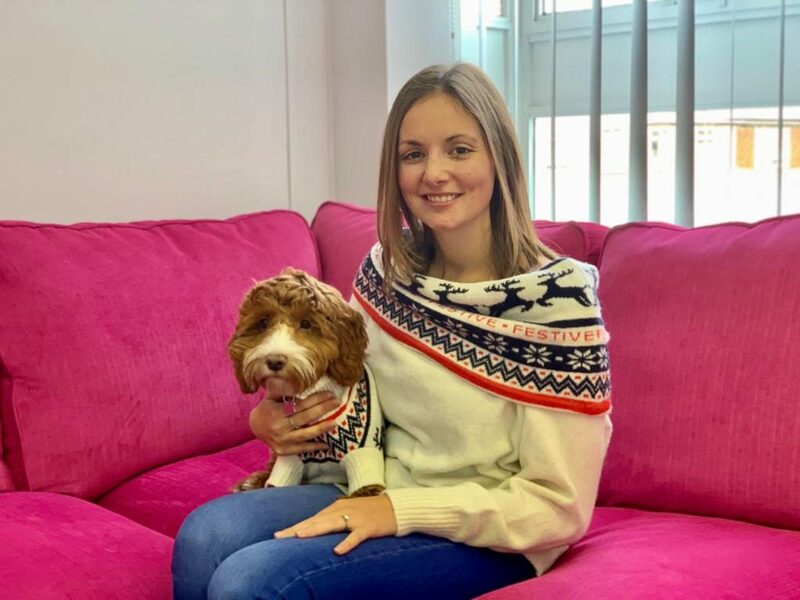 Check out Developer, Emily and her Cockapoo, Maisy in their matching jumpers – the duo definitely win the ‘best-dressed’ competition today! !